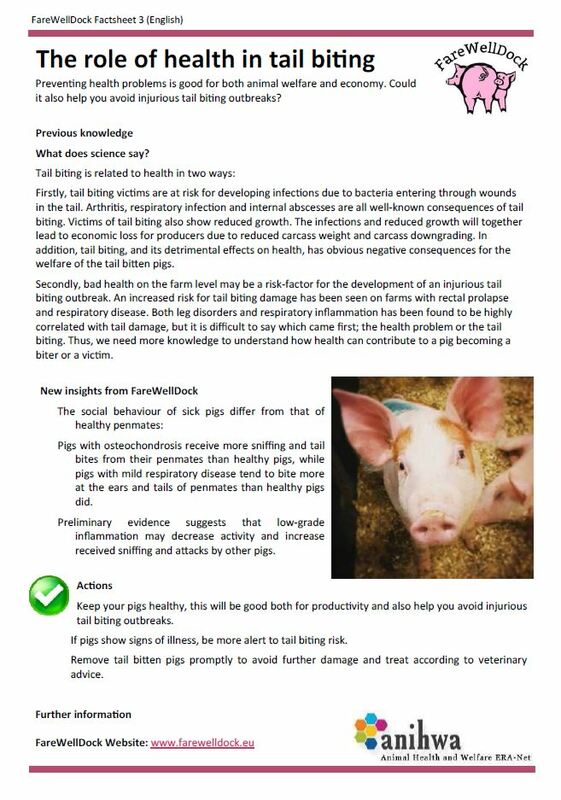 At present the FareWellDock website has 97 blog posts (like this one). We are drafting our final report and finalising our publication list. Here you can find the FareWellDock publication list. At present we are heading towards 28 peer-reviewed scientific publications, 6 book chapters, 35 conference contributions, 16+ farm-magazine articles, 14 training sessions and several other communication activities (internet and radio). 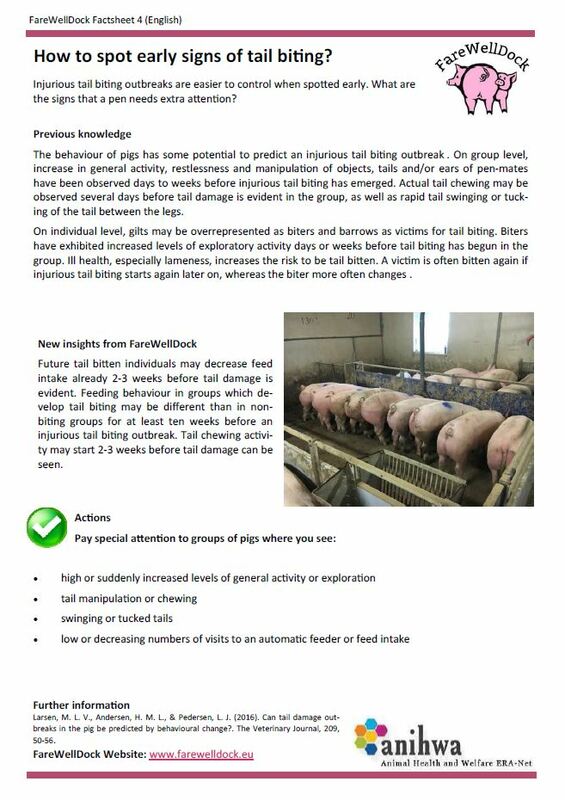 Prof. Andrew Janczak gave a lecture entitled ‘Tail biting: Acute and preventive measures‘ (in Norwegian) at the stakeholder conference Gris i 16. The lecture has been recorded and can be viewed here (in Norwegian). New Project Aims to End Tail Docking. 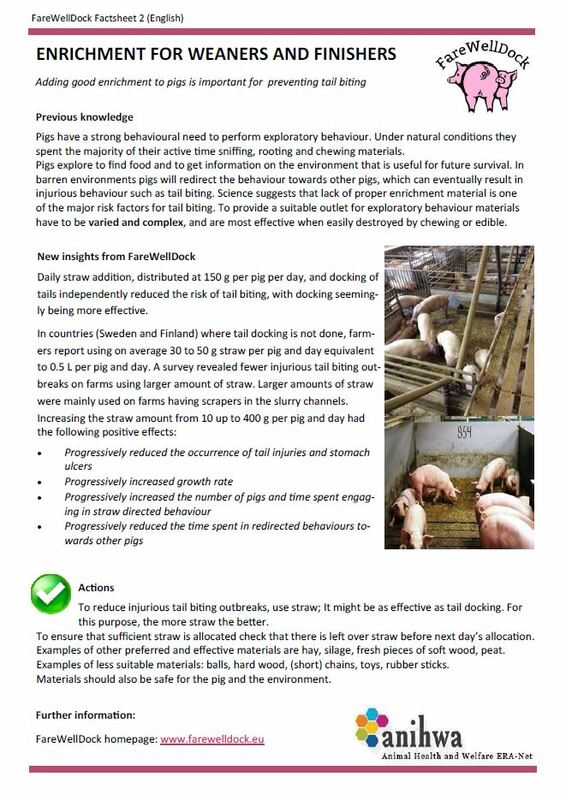 Farm Business – Online 11-09-13 New project aims to end tail docking. 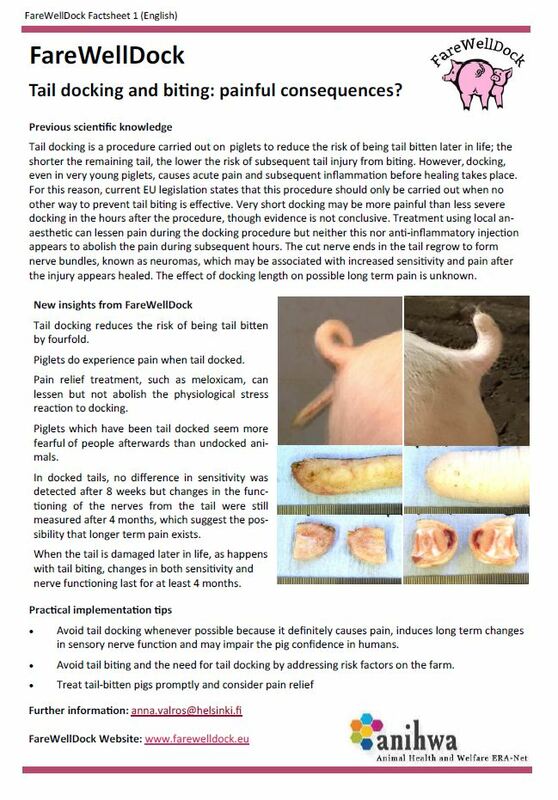 Press and Jounal (Aberdeen), J. Watson 12-09-13 Study launched in bid to end docking of pigs’ tails.